Narathiwat (Thai: นราธิวาส; Malay: (Wilayah) Narathiwat) is one of the southern provinces (changwat) of Thailand. Neighboring provinces are (from west clockwise) Yala and Pattani. To the south it borders the Malaysian state of Kelantan. The southern railway line ends in this province, which is one of the nation's five provinces that borders Malaysia. The province features a range of cultures as well as natural resources, and is relatively fertile. Narathiwat is about 1,140 kilometers south of Bangkok and has an area of 4,475 square kilometers. Seventy five percent of the area is jungle and mountains and has a tropical climate. Narathiwat province is located on the Gulf of Thailand, on the Malay Peninsula. 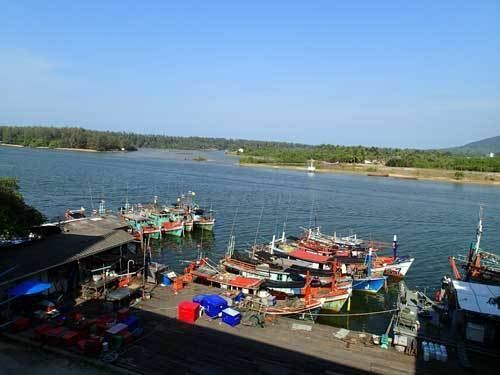 The Bang Nara is the main river and enters the Gulf of Thailand at the town of Narathiwat. Narathat beach, the most popular in the province, is near the estuary. Budo – Su-ngai Padi National Park is located within the Sankalakhiri mountain range. Established in 1974, the park covers an area of 294 km², extending into neighbouring Yala and Pattani province. The main attraction is Pacho Waterfall. The former name of Narathiwat was Menara (Jawi: منارا), meaning a 'minaret' in Malay, the pre-Islamic name is unknown. This became Bang Nara (Thai: บางนรา) or Bang Nak (Thai: บางนาค) in Thai, but was changed to Narathiwat by King Rama VI in 1915. "Narathiwat", from the Sanskrit (Nara+adhivāsa), means the residence of wise people. Today, traffic signs in Malaysia still use Menara. Historically, Narathiwat was the part of the semi-independent Malay Sultanate of Patani, paying tribute to the Thai kingdoms of Sukhothai and Siamese kingdom of Ayuthia. After Ayutthaya fell in 1767, Sultanate of Patani gained full independence, but under King Rama I it again came under Thai control 18 years later and in the early 1800s was divided into 7 smaller kingdoms. In 1909, Narathiwat was fully integrated into Siam as part of Anglo-Siamese Treaty of 1909 negotiated with the British Empire. Along with Yala, Narathiwat was then part of Monthon Pattani. There is a small but active separatist movement, which after being dormant for many years erupted again in 2004. Narathiwat is one of the four Thai provinces which have a Muslim majority; 82% are Muslim and only 17.9% are Buddhist. Also 80.4% speak the Patani Malay as their first language. Narathiwat Malays are very similar in ethnicity and culture to the Malays of Kelantan, Malaysia. The inhabitants of Narathiwat are largely farmers and fishermen. On account of the religion, Narathiwat is an area with various religious places of historical significance. The provincial seal shows a sailing boat with a white elephant on the sail. A white elephant is a royal symbol, and was put on the seal to commemorate the white elephant Phra Sri Nararat Rajakarini which was caught here and presented to the king. The provincial symbol is the longkong fruit (Lansium parasiticum). The provincial tree is the Chengal (Neobalanocarpus heimii), and the provincial flower is the Odontadenia macrantha. Narathiwat is subdivided into 13 districts (amphoe), which are further subdivided into 77 subdistricts (tambon) and 551 villages (muban). Local government entities within the province are the two towns (thesaban mueang) Narathiwat and Sungai Kolok, and 12 subdistrict municipalities (thesaban tambon). There has been growing violence in southern Thailand since January 4, 2004, especially in the majority Muslim provinces of Narathiwat, Yala, and Pattani. Most of the inhabitants of these provinces are ethnic Malays, though the cities are mainly Thai and Thai Chinese. Violent mujahideen activity has happened since the 1980s, but this lessened since Thaksin Shinawatra became Prime Minister in 2001. Most of the violence has been directed towards the minority Buddhist population in the province. The government has been suspected in organising violent attacks on Muslims. In On June 8, 2009, at least 10 died in a shooting during the Muslim evening prayers. Five or six gunmen disguised themselves with ski masks attacked the mosque. The army denied involvement. The important religious site for Muslims is the central mosque of Narathiwat. This mosque is on Pitchitbamrung Road, Tambon Bangnark, Amphoe Muang, about 1 kilometer from the provincial town. This mosque is the center for Thai Muslims who come to do their observances on Friday. It was built in 1981 in a three-storied Arabian-style building with a high tower and a domed roof as other mosques. The tower is used to call Muslims to prayer. 17.9 percent of the people in Narathiwat are Buddhist. Although a minority, there are Buddhist temples in the same amphoe as the mosque. The most famous one is Khao Kong Buddhist Park. It occupies an area of 142 rai (227,200 square metres (2,446,000 sq ft)) in Tambon Lamphu about 9 kilometers from town on the Narathiwat-Rangae Road. The main attraction in this site is a graceful southern Buddha image, the golden "Pra Buddha Thaksin Ming Monkol", which is seated in the lotus position and giving posture. "This mountaintop Buddha image which is considered to be the most beautiful and largest (17 meters wide and 24 meters high) outdoor Buddha image in southern Thailand is decorated in the South Indian style". It is highly respected by locals and Buddhists in the south. Narathiwat Airport has a direct flight from and to Bangkok daily, operated by Air Asia, departing from Bangkok in the morning and leaving Narathiwat for Bangkok in the afternoon. It also has Thai Smile from Narathiwat to Suvanrabhumi airport. 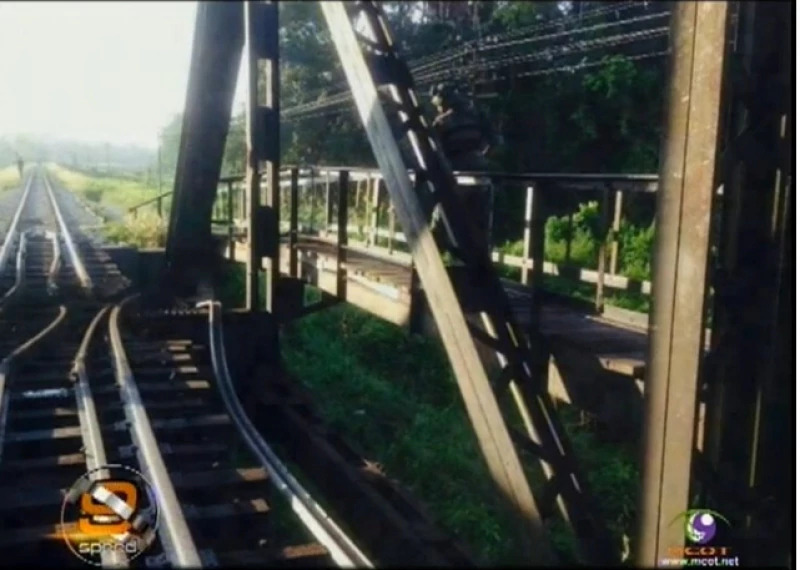 Although there is no direct access to Mueang Narathiwat District, Narathiwat's main railway station and nearest to Mueang District is Tanyong Mat Railway Station, on the Southern Line, located in Ra-ngae District. Other major stations along the line in Narathiwat include Rueso, Su-ngai Kolok, Su-ngai Padi and Cho-airong. Distance to Narathiwat by rail is roughly 1100 kilometres from Bangkok Railway Station.